I’m reading less because I’m busy, yeah, I have a life and whatever. 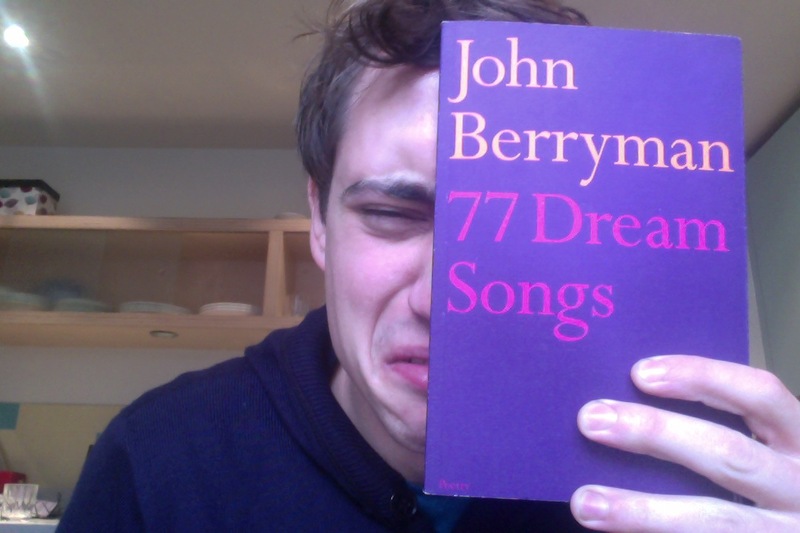 Today I read 77 Dream Songs by John Berryman, originally published in 1964. It’s a strange, often haunting collection that weaves together many recurring themes, a protagonist (Henry, Mr Bones), who travels internationally, has existential crises, works, writes, loves, regrets… It is both a portrait of a person and an opportunity to delve into the dreams of another. As a reader it is very difficult to work out if the narrative, the action, the events, of the piece are “real” or a dream – occasional rhyme and alternating metres provide an almost lilting musicality that can at times be quite pleasantly soporific. He knows: he went over everyone, & nobody’s mismsing.